Coffee House Press, 9781566890403, 192pp. Fiction. Cultural Writing. Asian-American Studies. Winner of the Wisconsin Library Association's Outstanding Achievement Recognition Award, 1997. 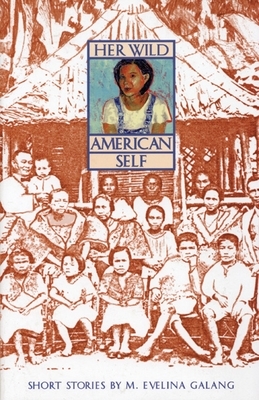 HER WILD AMERICAN SELF, Eveline Galang's first collection of stories, steps foot into the lives of Filipina American women, but is accessible to readers of all ethnicities. HER WILD AMERICAN SELF reminds us of the importance in staying true to oneself amidst cultural clashes and assimilation. "An honest and insightful look at the experiences of Filipina American women who 'grew up hearing two languages'"-Ms. Magazine. Galang teaches creative writing at The School of the Art Institute of Chicago.